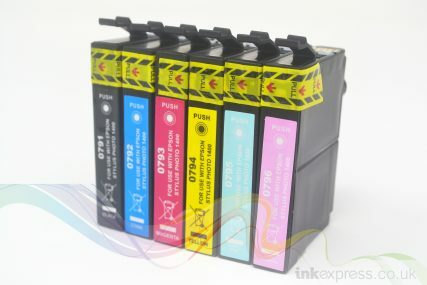 Fantastic quality refillable cartridge starter pack for use with Canon PIXMA printer models which use the CLI-571 and PGI-570 ink cartridge series. 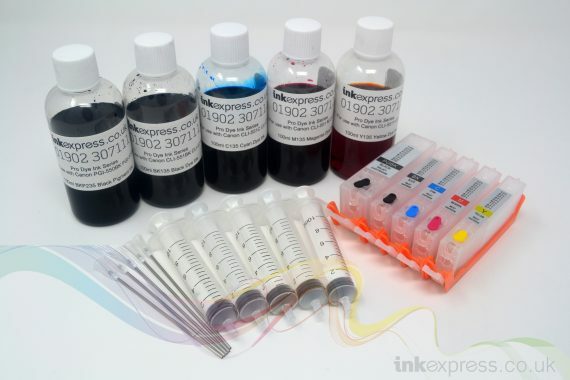 This starter pack includes everything you need to save over 90% on your ink costs by refilling your ink cartridges rather than buying new manufacturer ink CLI-571 and PGI-570 ink cartridges. 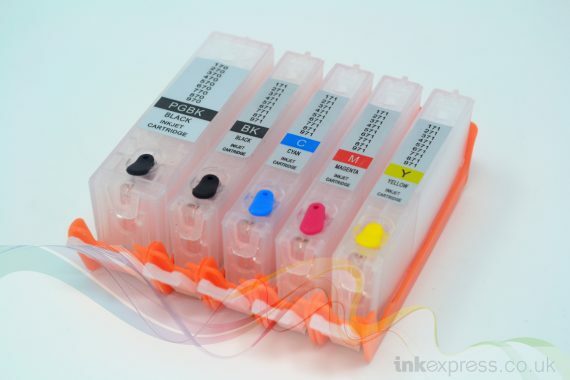 Our refillable Canon CLI-571 and PGI-570 ink cartridge set are designed to be refilled they are made from a high quality PVC plastic which is clear so the ink level can be seen and users know how much ink is required to refill. 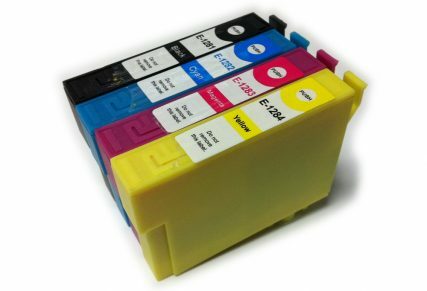 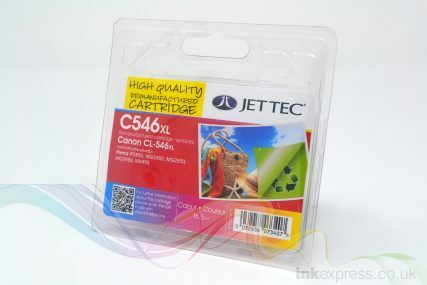 Not all refillable Canon CLI-571 and PGI-570 ink cartridges are the same; our cartridges are a high quality product and are fitted with the very latest microchips which reset the ink levels with our the need for 3rd party hardware or software. When a cartridge shows as empty, remove it, refill it and re-install it. 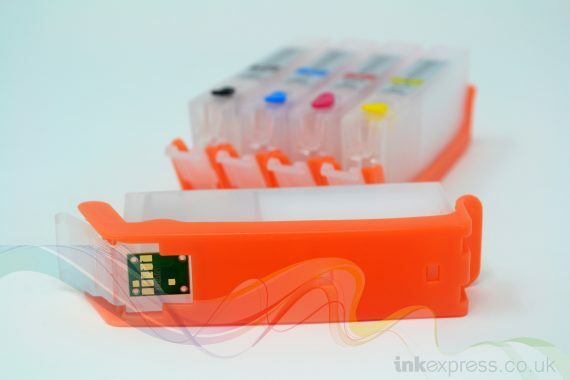 The chip will reset and the ink level will show as full again! 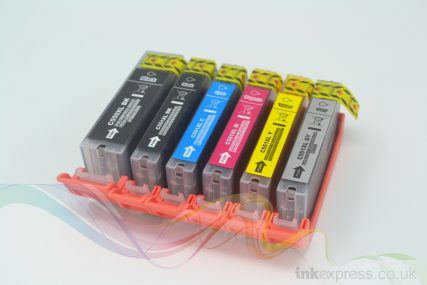 The most important part of refilling your own ink cartridges is the ink. 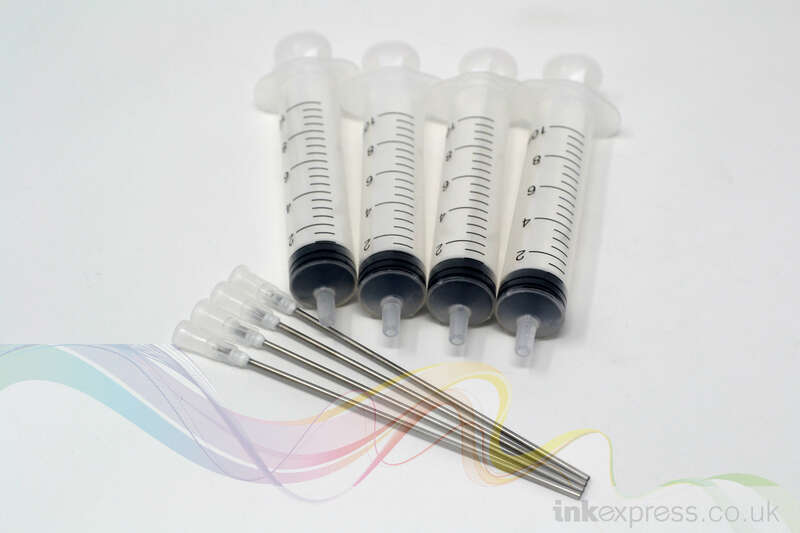 Ink Express source and supply the highest quality ink which is manufactured in Germany. 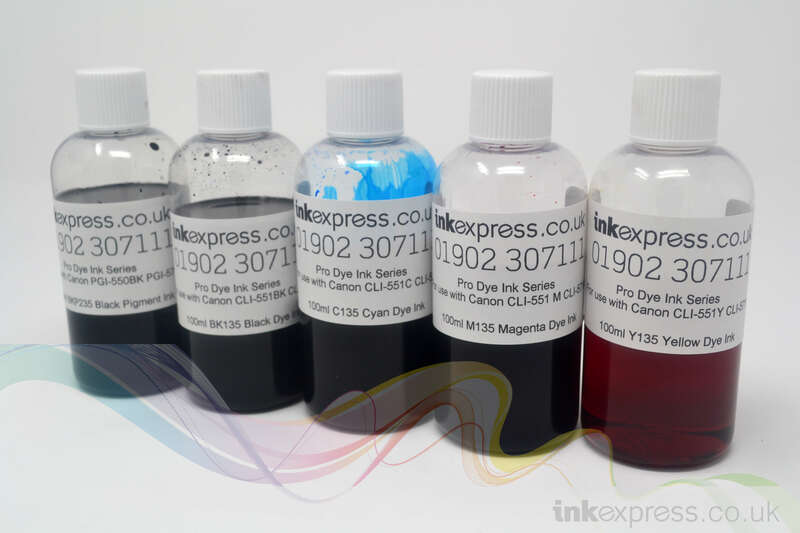 The ink we supply is matched as closely as possible to the manufactures ink type to ensure excellent print quality. 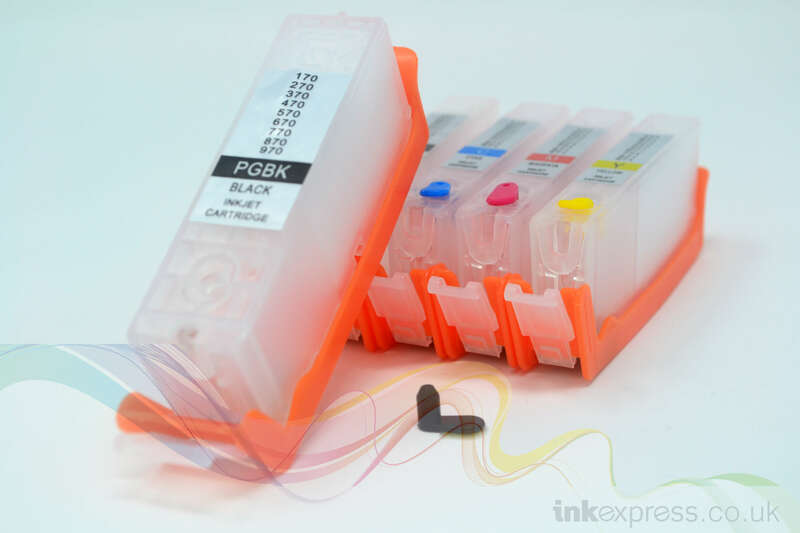 The ink we supply with this refillable Canon CLI-571 and PGI-570 ink cartridge starter pack is specifically formulated for use with in the Canon CLI-571 and PGI-570 ink cartridge series. We supply 100ml of each ink type to allow the user to refill their cartridges again and again.